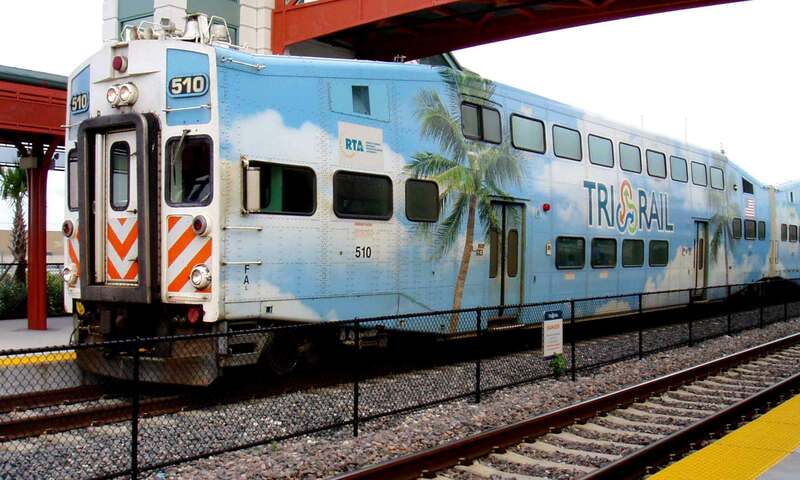 It’s a done deal, said Bonnie Arnold, spokesperson for the South Florida Regional Transportation Authority, Tri-rail’s parent, on Tuesday. Signed contracts are expected shortly, she said. At the meeting, Francis Suarez, agency board member and Miami commissioner, urged fellow directors to finalize the agreement, saying that having Tri-Rail come into downtown is just as important as renovating public housing and establishing a grocery store in a food desert, both of which the agency has accomplished. Projections are that the station will increase property values – hence tax increment revenues to the redevelopment agency – enough for it to meet the $17.5 million it has agreed to give, but there are no guarantees, said Keon Hardemon, agency chair and Miami commissioner. “We have a great responsibility to ensure neighborhood benefit comes from tax increment dollars. I’m skeptical we can move forward” without some guarantee that the agency wouldn’t have to make up a shortfall. “If we move forward, we’re going to put community organizations at risk,” because money would probably be taken from them to meet the shortfall, he said. He reminded the board that the original amount asked from public agencies, about $69 million, has been negotiated down sharply. All Aboard Florida, a wholly owned subsidiary of Florida East Coast Industries, is building five stations for its Brightline commuter trains and will allow Tri-Rail to use them in South Florida. “We have been consistently reducing the amount” of money asked from public agencies, said Javier Fernandez, attorney for All Aboard Florida. “We have the downside risk. Here you have a public agency [the regional transportation authority] without a profit motive. Its sole motive is to deliver the transit improvement.” Revenue projections have been extremely conservative, he said. Wilfredo “Willy” Gort, agency director and Miami commissioner, asked Clarence Woods III, redevelopment agency executive director, whether the other public agencies could accept more risk. “Everybody has performed except us,” Mr. Suarez said. “I am not happy; maybe we shouldn’t more forward without a more structured deal,” Mr. Hardemon replied. Mr. Signorelli said the company has spent $18 million and has been reimbursed slightly more than $1 million “all in the spirit of making sure this station – unlike other public projects – will be delivered on time and on budget.” All of the real estate components that will generate the anticipated revenue are under construction, he said. After nearly an hour of impassioned discussion, Mr. Hardemon asked Mr. Woods whether he believed the deal on the table is the best the agency will get. “Yes,” Mr. Woods said. “Then there’s nothing left to talk about,” Mr. Hardemon said, adjourning the meeting with the direction to Mr. Woods to sign the agreement. Fortune favors the bold. Good to see the CRA finally did its share. And congrat to Francis Suarez for having the resolve to follow his vision. We could use more like him down here– and less wishy-washy Charlie Browns in public office. This is great. It will raise ridership on all modes! Well done. Miami needs more leaders like Commr Suarez. This is great news! I just hope there are no more roadblocks or delays.